"Timeless and beautifully classic is the best way I can describe Niki’s work and working with her was pure gold! We hired Niki about a year and a half before our wedding as photography was the most important aspect for us for our wedding day. We wanted classic photos that captured the emotion of the day and what we received was beyond our wildest dreams! Niki and her assistant worked their butts off for almost 12 hours and were such a delight the entire day. We felt so comfortable and relaxed and it definitely came across in our photos. Niki is such a wonderful photographer and even greater person! We couldn’t imagine having better photos or a better photographer. After we saw our first sneak peek my husband immediately asked if we could hire Niki for all of our major milestones and reviewing our wedding photos was only affirmation of that decision. 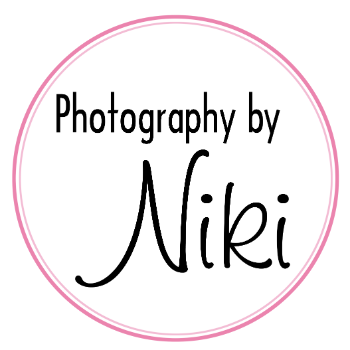 We absolutely love Niki’s work and herself! - Lauren"
"My husband and I loved working with Niki! I was very grateful she took the time during our consultation to get to know us personally and go over every detail from engagements to the wedding. Something I wanted in a photographer was someone that could direct me and my fiance on what to do, how to stand and tell me where to put my hands, lol. Niki has kept in touch and will still post a picture of our wedding every now and then which I love! The cost was a bit high, but photography was very important to me for our wedding and I didn't have to worry about a thing with Niki! She definitely knew what she was doing. - Alyssa"
More reviews on The Knot, Facebook, Google and Wedding Wire below.